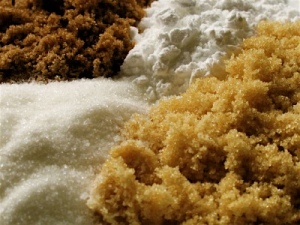 Sugar itself, whether white or brown, is a natural substance, derived from beets and/or sugarcane. Its primary component is sucrose--equal parts of glucose and fructose. Over time, it has been identified as a harmful substance, most visibly for its causative role in tooth decay and the buildup of plaque around the base of the teeth. You've heard the phrase "empty calories?" That's just what sugar provides; it contains no real nutrition -- no protein, vitamins, minerals, antioxidants, or fiber. 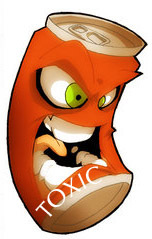 But let's start with what some nutritionists consider today's major culprit: soda. It's refreshing and delicious, especially in the summertime. Unfortunately, contributing to its deliciousness we can find the real culprit within it: high-fructose corn syrup---now used as a sugar substitute in sodas, and in many processed foods. The more fructose in a substance, the sweeter it will be; because it tastes good, we tend to eat (and drink) more of it than we need. And yes, combined with a sedentary lifestyle, it leads to putting on the pounds; it's a poor replacement for other, more nutritious, foods like lean meat or fish, vegetables, and fruits. But there's more to think about than an expanding waistline: the glucose (whether it's from starches like potatoes, or bread, or pasta--which are turned into glucose by the body, or from refined sugar), is used by the body's every cell. The fructose, however (whether from refined sugar or worse--from corn syrup), heads straight for the liver, where it is metabolized. So, the more of it you consume---especially if it's in the form of liquids, like soda, which will receive almost instant processing by the liver---the hard er the liver has to work. If you take in too much fructose too fast, the liver cannot process it efficiently, and will convert much of it to fat. As a result, you may develop insulin resistance: a basic marker for obesity, heart disease and type 2 diabetes, which we are commonly finding in overweight patients. And there is evidence (now being carefully studied) that it may also be a causative factor in cancers. For now, we encourage you to think about what you're drinking and eating; the labels on your sodas and processed foods will tell you just what you’re ingesting. Read them, and make your own choices. To help you in this process, per you request, we are offering a complementary set of resources that you can refer to regarding the best way to avoid the problems that result from excessive sugar intake. You can email us at [email protected] and request the information.